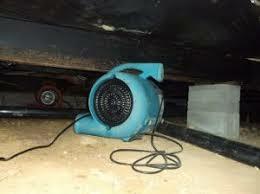 A water damage is a scary scenario for any home owner or tenant. Add a mold infestation into the mix and you’ve probably contemplated (at least once) just burning the house down. When you have a major water damage there are hardly any limitations on where the water can end up. Being in the Emergency Services industry I have seen water seep into a home’s crawlspace, into its HVAC unit, and even settle in between the paint on the wall and the sheetrock. I have seen hardwoods buckle from moisture and floor joists deteriorate from years of damp conditions within the home’s foundation. Above all, 4 out of 5 times, I have seen mold settle into the home. A water damage can happen for multiple reasons, at any time too. No matter why or how it happened, if large enough or left unattended every water damage can have the same effect on a home. Standing water can penetrate through the subfloor, the layer of flooring underneath your hardwoods/tile/carpet, and compromise the quality of the floor joists that support your home. Beyond those joists, water can also affect the quality of the crawlspace and/or foundation of the home. Any water damage that contains gallons and gallons of water can affect the drywall and studs within the home’s walls. The water will stand high enough in a secluded area and completely penetrate every surface of the wall as the moisture travels throughout the drywall. If you ever find yourself in this type of situation it is something that needs to be addressed immediately. When water is stagnant, or moisture is present, it only takes 24 hours for mold spores to begin to grow. Proper water extraction and drying methods by the Restoration Company you choose are key to limiting the chances of a mold outbreak throughout the affected area of your home. For example, if you have a water damage in your kitchen the option to expose the subfloor to a drying fan is more than likely not an option. Your only option to properly dry the entire surface would be to work from both top and bottom, setting fans in the kitchen and in the crawlspace under the affected area. When choosing a Restoration Company to handle your water damage make sure you do your research and talk to your insurance provider. 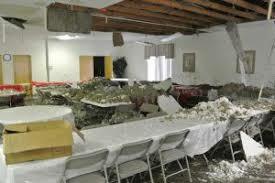 Bad mitigation practices on your Restoration Companies behalf can set your progress back months. If your chosen Restoration Company doesn’t completely dry the affected surface correctly, you might end up with more than a mold problem. Significant amounts of moisture can compromise a home’s foundation, it can cost you $1000’s of dollars in additional damages, and that mold issue could cause serious problems to your health. Certain amounts and types of mold can cause serious illness in humans and animals. It’s important you handle your water damage in a quick and timely manner. Saturated floor joists, wet drywall, and damp insulation can all leave you with a water damage and a serious mold problem. An unattended water damage can compromise the health of your home and your family. It’s important to keep both of those a priority when considering an Emergency Restoration Company for the job. Great article. As a water damage expert myself I have seen many instances where water damage turned into a bigger issue after being ignored. In my opinion, the most delicate aspect of water damage is when it turns into mold as it will not only impact the structure itself but also the health of those residing in the dwelling. I think you did a great job explaining details of how water damage and mold affects a home, business and even a person’s health. I spent a lot of time to find an article about this. Thanks!